Whether you celebrate the holiday or not, may you have a pleasant Sunday! I hope no one has been seriously affected by recent bad weather. Submitted by lizbethie on Sun, 04/24/2011 - 6:56am. Thanks for sharing Minn.. the eggs were incredible! and the peeps..LOL! The two in the tubs..omg hysterical! Submitted by Suzi LeVeaux on Sun, 04/24/2011 - 9:59am. Thanks Minn. 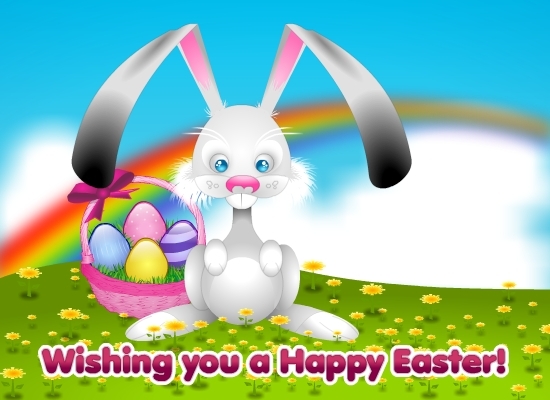 I also want to wish everyone a Happy Easter, and a day filled with love light and blessings. Submitted by SG8970 on Sun, 04/24/2011 - 10:51am. Happy Easter! I can't wait to see my neice and nephew today! Submitted by Suzi LeVeaux on Sun, 04/24/2011 - 11:37am. Submitted by SG8970 on Sun, 04/24/2011 - 11:49am. His grandma and great grandma are the ones with the Easter baskets for him. Submitted by Suzi LeVeaux on Mon, 04/25/2011 - 10:30am. Submitted by SG8970 on Sun, 04/24/2011 - 7:41pm. Not Easter related, but very very cool. You have to watch the video on the link. I demand you watch it. Submitted by Kelly Thomas on Sun, 04/24/2011 - 9:46pm. Submitted by Kelly Thomas on Sun, 04/24/2011 - 10:17pm. 2011 White House Easter Egg roll. The President and First Lady announced that this year’s White House Easter Egg Roll will be held on Monday, April 25, 2011 with the theme of “Get Up and Go!” promoting health and wellness. The event will feature live music, sports courts, cooking stations, storytelling and, of course, Easter egg rolling. All of the activities will encourage children to lead healthy and active lives and follow the First Lady’s Let’s Move! initiative, a national campaign to combat childhood obesity. The White House will open its South Lawn for children aged 12 years and younger and their families. The White House invited all elementary and middle school students in the District of Columbia, Maryland, and Virginia to submit poster designs for the 2011 Easter Egg Roll. The First Lady has selected the winning designs, which will be used as part of the White House 2011 Easter Egg Roll program. The 2011 White House Easter Egg is here! This souvenir wooden egg features the stamped signatures of the President and First Lady. Order now at easter.nationalparks.org. Submitted by Misty on Mon, 04/25/2011 - 7:31pm. Submitted by sixteentons on Mon, 04/25/2011 - 9:24pm.